Angina is a type of chest pain or discomfort caused by the reduced blood supply to the heart. The pain may feel like indigestion and can travel to shoulders, arms, neck, jaw, and back. There are two main types of angina. Stable angina- This is a medical term for chest pain which follows a regular pattern of chest pain and often occurs during physical activity and emotional stress. This type of chest pain is relieved by rest mostly. 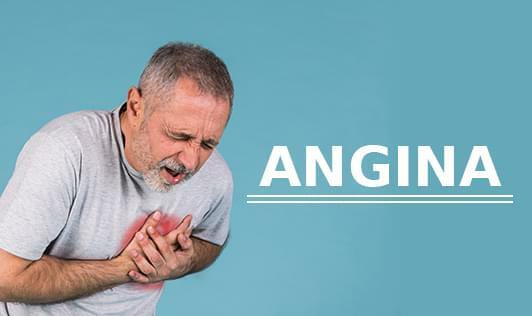 Unstable angina- Unstable angina is an unexpected kind of chest pain and does not follow any pattern and can continue even at rest and after taking medicine for angina. It’s a sign that a heart attack might come soon. Chest pain is the main symptom of angina.